The recently opened Evil Twin Brewing pop-up at Nowadays is an almost Wonka-esque experience, only with hops and malt in place of gobstoppers and fizzy lifting drinks. At the bar area, I request a few samples from one of the bartenders, who presents me with flights of a triple IPA, an imperial porter, and something called a DDH or double dry-hopped IPA. I must confess: I’m no beer aficionado. But each beer was deeply fragrant and complex with a distinct flavor profile and nose. Tasting notes from the menu like “dank” and “soft carb bitterness” would, I imagine, make plenty of sense to the hard-core craft beer lover. I got whiffs of grapefruit and pine from the triple IPA; the porter, dark and full-bodied, appealed to my coffee lover’s soul. 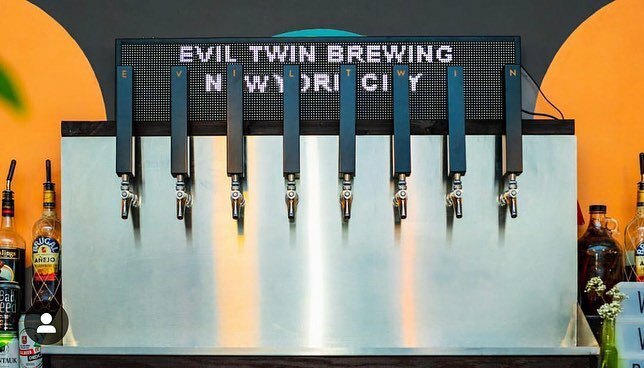 Evil Twin Brewing pop-up at Nowadays. Evil Twin’s founder Jeppe Jarnit-Bjergso. 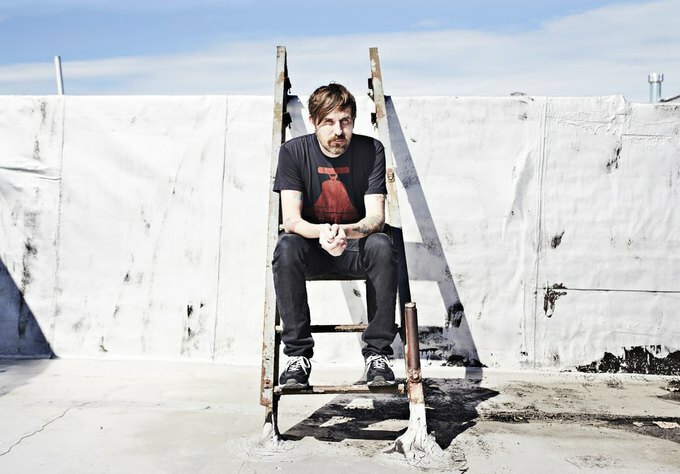 Evil Twin’s founder Jeppe Jarnit-Bjergso, previously the beer director of Noma restaurant in Copenhagen, said that he wanted to establish Evil Twin as a truly local New York brewery. 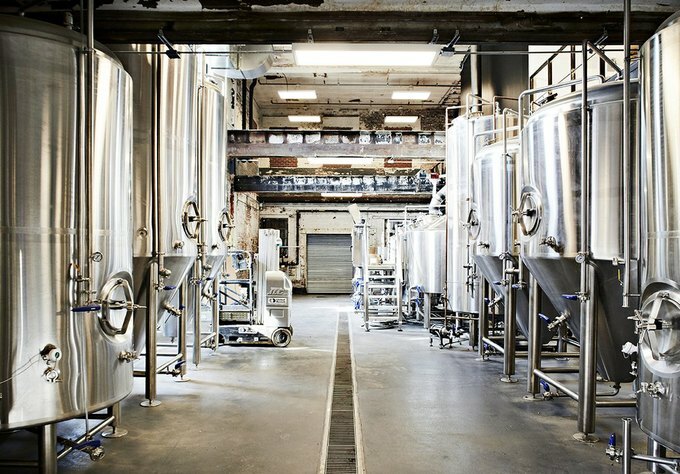 Instead of just distributing their beers wholesale to businesses like Whole Foods, he wanted to create an opportunity for customers to drink them as directly as possible from the brewery. Since their new taproom and beer garden are still undergoing construction, slotted to open May of this year at the brewery, Evil Twin hoped to offer a temporary solution. 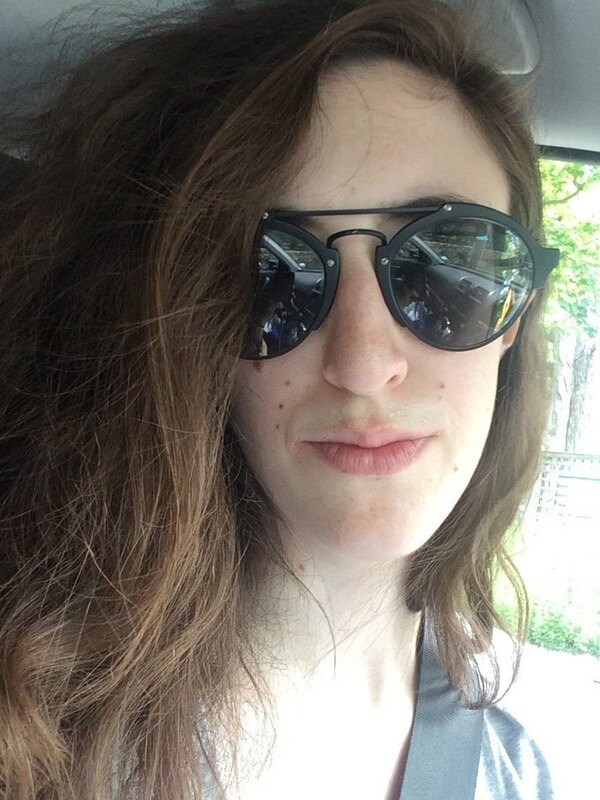 Jarnit-Bjergso said that he liked the work that Nowadays was doing, and thought the partnership would be a great way for the two businesses to jointly promote the Ridgewood area. As he said, “We’re in Ridgewood, they’re in Ridgewood, let’s make Ridgewood cool.” Additionally, Nowadays had just installed eight new taplines, so the timing was serendipitous. A representative from Nowadays informed me that they’re trying to bring beer culture into the space, something that hadn’t been done there before, and so the partnership is helping to place them on the craft beer map. 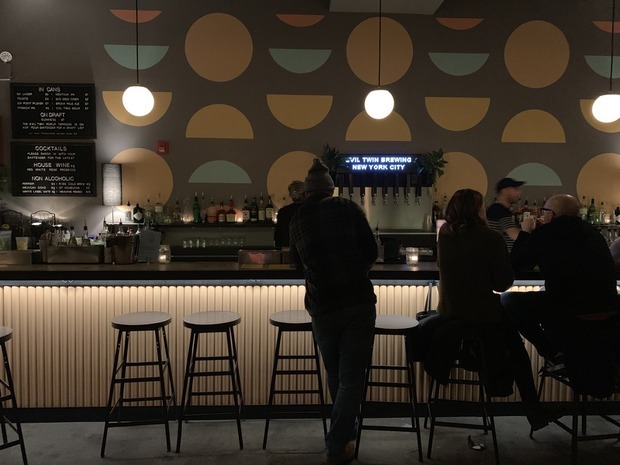 By partnering with a local institution like Evil Twin, which associates strongly with Ridgewood, they’re also hoping to solidify their identity as a distinctly Ridgewood spot. The pop-up will remain open until the permanent taproom and beer garden opens at Evil Twin Brewing in May. You can grab a brew on tap on Fridays from 5 p.m. to 10 p.m., Saturdays 12 p.m. to 10 p.m., and Sundays 12 p.m. to 3 p.m., and you can also pick up cans and merch at Evil Twin’s retail store, open at the brewery. Check in with Evil Twin Brewing, and get updates on their beer garden’s official opening, on their Instagram and their website. All photos courtesy of Evil Twin Brewing.